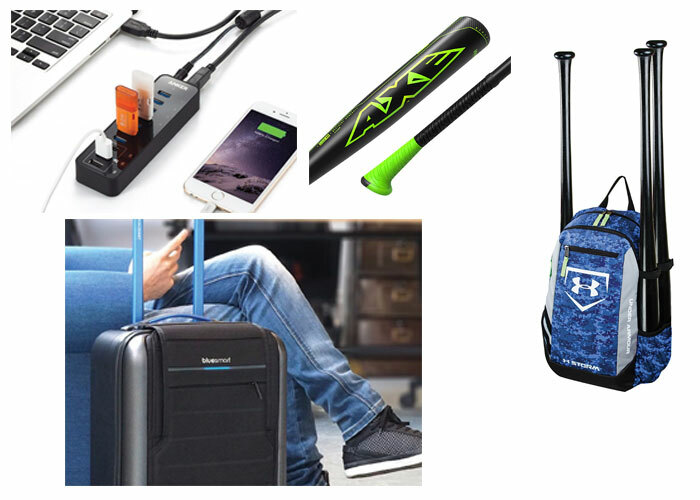 This Under Armour® Hustle Bat Pack features UA’s water-repelling Storm (DWR) treatment to keep your gear protected from the elements and it’s perfect for the hard-working baseball or softball athlete. It provides advanced organization and storage for your batting helmet, fielding mitt, shoes and more. HeatGear® shoulder straps and a padded back ensure ultimate carrying comfort. 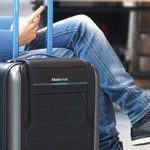 Here is a revolutionary piece of carry-on luggage that connects wirelessly to your smartphone and a corresponding app to provide a number of benefits. It weighs only 9.4 pounds and has a sensor that tells the weight of your luggage before you take it through security. The main compartment provides large space for clothes, shoes and coats and has a secondary compartment that can hold up to a 15-inch laptop. A TSA-approved digital smart lock feature enables you to secure your cargo from your own phone as well as a 10,000 mAh internal battery that holds enough power to recharge your phone up to six times. Connect via BLE, and global coverage is provided in partnership with Telefonica so you can track your luggage anywhere in the world. Bluesmart works with iOS and Android; Apple Watch app is in the works. There are two standard USB ports as well as a USB charger included – you can use any standard adaptor to connect your suitcase to a USB port to charge it. 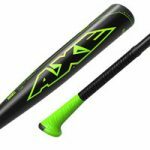 The Axe bat is the first bat built from end-to-end to give the player a distinct advantage at the plate. It is more comfortable, delivers a more efficient power transfer, increases bat speed through additional barrel acceleration and reduces hamate bone/ulnar nerve injuries and incidents of thrown bats. It’s the first asymmetrical handle approved at all levels of baseball and softball and it comes with a 30-day money back guarantee and a one-year manufacturers’ warranty. This bat’s asymmetrical handle is the first with an ergonomic grip that increases swing speed and transfers more power to the bat. Built more like a golf driver, the bat has a hitting side and a non-hitting side. Its engineered hitting zone is designed to perform closer to the legal limit than any other bat on the market. Prices vary based on model ordered. As laptops get lighter and thinner, it eliminates room for USB ports for hooking up an external hard drive, flash drive, keyboard, mouse or any other accessory. Rather than settle for a heavier laptop, try the Anker 10-Port hub. It adds seven additional USB 3.0 ports, allowing you to bypass the slower USB 2.0 ports still built in to many machines. 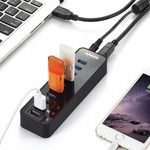 It also has three 2.1A charging ports so you can quickly recharge a smartphone or tablet right from your work station. Its small size doesn’t require much desk space. It sells for $39.99 at Amazon.